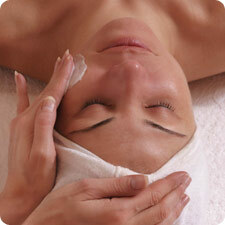 REN have created facial treatments that have both cleansing and rejuvenating action. They will cleanse the skin to reduced pore size, refine, texturise and add glow to the skin. They will regenerate because REN facials are skin workouts that address both physical and musculo-skeletal facial tissue, i.e. tone and lift underlying muscles, release muscle tension and reduce facial expression wrinkles. An ancient Japanese facial technique is used, also known as ‘Ko Bi do’, offering the most stimulating, yet deeply relaxing treatment. The perfect way to relax and unwind – truly divine!